Headquartered in Mumbai, HDFC Life was founded in 2000 following a joint venture between Standard Life Aberdeen PLC and Housing Development Finance Corporation Ltd. (HDFC). 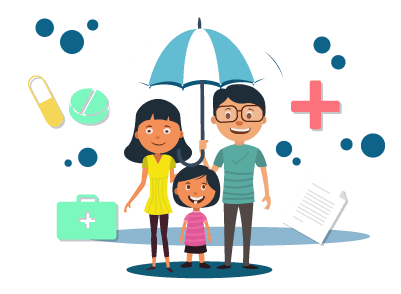 Since their inception, HDFC Life has rolled out a variety of life insurance policies catering to families, individuals, groups, and Non-resident Indians. To make the process of availing a policy seamless as well as offer the best support for existing policyholders, HDFC Life has its very own customer support team. New policyholders as well as existing policyholders can get in touch with the customer care team either over the phone, via SMS, or by writing an email to them. Customers can also initiate a live chat on the HDFC Life website with a relationship manager to clear their doubts, offer feedback on products, etc. Customers that wish to avail a life insurance policy can dial the number - 1800 266 9777 between 10:00 a.m and 7:00 p.m on all days to speak to a certified insurance expert for questions regarding the policy. To get in touch with a relationship manager for a life insurance product you wish to avail, you simply need to SMS ‘LIFE’ to 56161. Customers need to write a mail to buyonline@hdfclife.in describing the product they wish to purchase and a relationship manager will get in touch with them immediately. NRI customers who wish to purchase a life insurance policy can get in touch with the customer care unit of HDFC Life by dialling +91 89166 53100. NRI customers can also write to HDFC Life at buyonline@hdfclife.in. HDFC Life policyholders can get in touch with the customer care support team by calling 1860 267 9999 between 10:00 a.m and 7:00 p.m everyday. Existing policyholders residing in India can get in touch with the HDFC Life customer care unit by writing to service@hdfclife.com. NRI policyholders can contact the HDFC Life customer care team by writing to nriservice@hdfclife.com. Policyholders can get a HDFC Life relation manager to call them back just by clicking on the ‘call back’ option on the HDFC Life website. The policyholder will then have to enter their name, mobile number, email ID, choose the type of plan and click on ‘submit’ to get a call back. Customers who wish to buy a HDFC Life plan online can also use the ‘chat online’ option to speak with a dedicated relationship manager and clear their doubts and know more about the product.